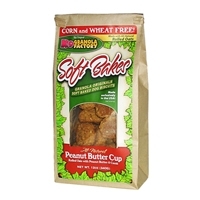 K9 Granola Factory Soft Bakes treats are easy to eat and digest, making them great for training or as a natural, guilt free snack. 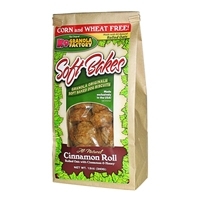 They're packed with oats and cinnamon, with no wheat, corn, or fillers. 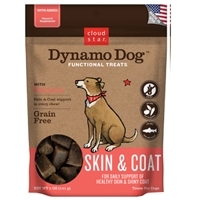 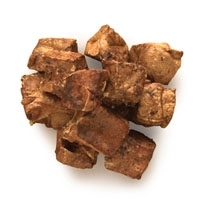 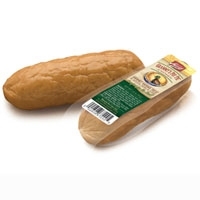 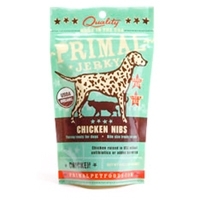 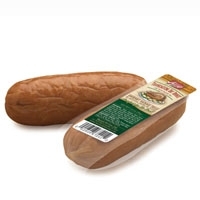 "Skin & Coat: Cloud Star's Dynamo Dog™ Functional Treats are formulated for a dog’s specific needs. 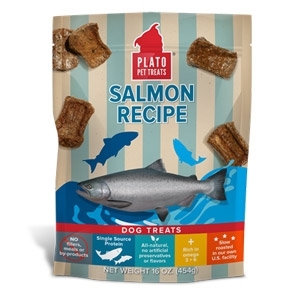 The Skin & Coat formula contains salmon oil and vitamin E supplement in each treat to help support your dog’s skin and coat health. 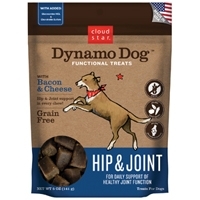 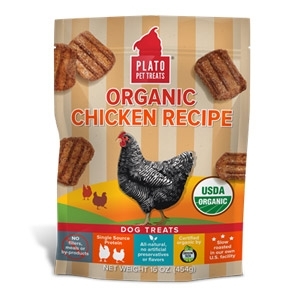 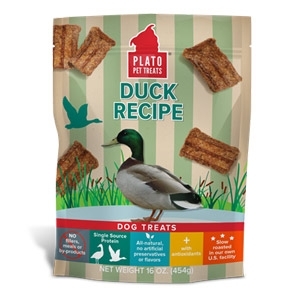 Dynamo Dog™ Functional Treats are grain free, gluten free, and are always made in the USA with the freshest ingredients. 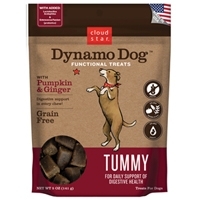 Brought to you by Cloud Star, the dog treat experts and makers of Buddy Biscuits®. "